Did Lord Byron ever drink at the Bell? My fascination with the poet Lord Byron caused me to spend hours one afternoon in Venice looking for the back entrance to his palace on the Grand Canal. Over the years while I was growing up in Nottingham I was a regular visitor to Newstead Abbey, even though I knew that Byron left his country estate without a backward glance to have a better life in Europe in 1816. But it was only recently that I went to have a look at another of his homes, which has always been right on my doorstep in the centre of Nottingham. 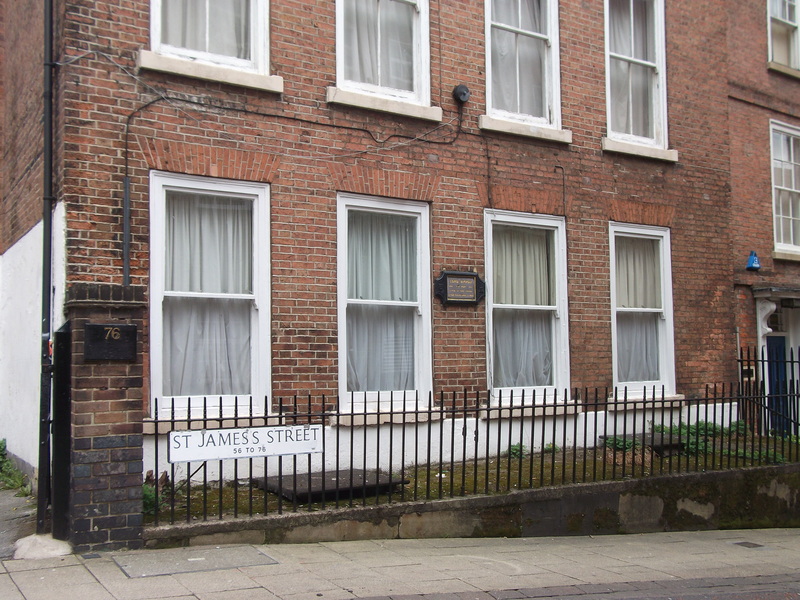 In 1798 Byron lived at number 76 St James Street, a redbrick Georgian house. In his day the surroundings of the elegant property would have looked very different. Maid Marian Way had not been built and Byron would have been able to walk straight down to the Old Market Square without having to cross the busy road. 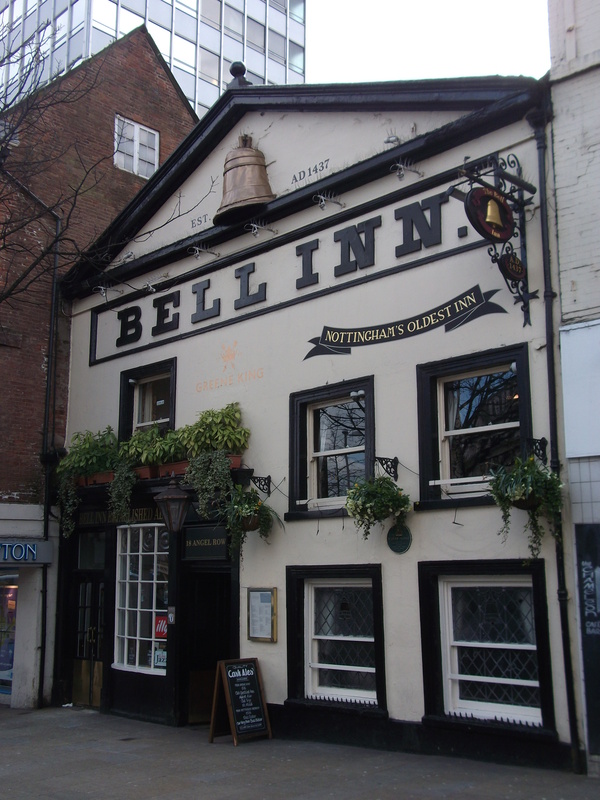 One sight that would have been familiar to him, if Byron turned left into Angel Row, is the Bell Inn, which dates back to the 15th century at least. During the time he lived in St James Street Byron would have been ten years old and probably too young to be a regular at the Bell. 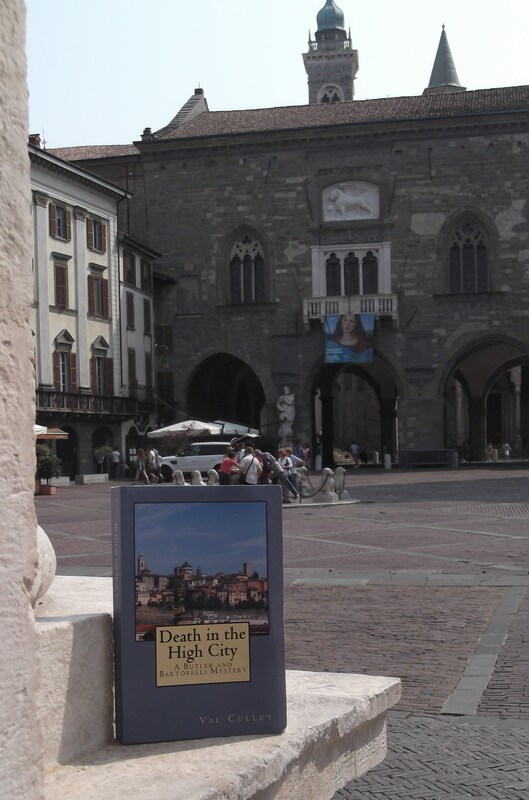 But I have allowed myself to speculate that he must have visited the city centre occasionally when he was older and might perhaps sometimes have trodden on the same stone slabs in the entrance passage way that I walk on whenever I go into the Bell. If anyone has any information that either supports or contradicts this whimsical idea I would love to hear about it. This entry was posted in Lord Byron, Nottingham pubs and tagged Lord Byron, Nottingham pubs. Bookmark the permalink. Thanks,Clare, this is a very useful link. Thanks, Clare, this is a very useful link.